After you have given birth, you may find yourself needing to pump your breast milk. This could be because you need to relieve some pressure or because you need to find an alternate way to nurse your baby. Either way, a breast pump is the only that is going to get the job right. Of course, this a prevalent industry and there are a great many number of pumps to choose from. To make this task a little easier for you, here is a list of your five best possible options. This breast pump is perfect for the mother who needs to pump on a daily basis, perhaps several times during the same day. It is also great for the mom who is on the go as it comes equipped with its own carrier bag, complete with special features. The breast pump itself, however, is an electric double breasted pump. In particular, the Medela breast pump uses a revolutionary technology that is known as the 2-Phase expression technology. With this, the breast pump is better able to simulate the suckling of a real baby. This, in turn, allows for a greater milk production and for more milk to be pumped. There are also several variable settings that you can use to adjust to get the most comfortable pump for you. This breast pump has its own battery pack which means that you can pump, even if you are on the move. There is also a cooler bag in this pack which you can use to keep the breast milk cool, if you wish to. 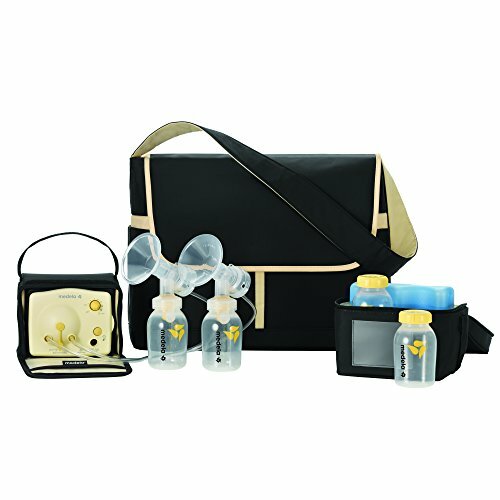 Last but not least, the breast pump and the additional items can neatly and discreetly be packed into the bag that is provided. 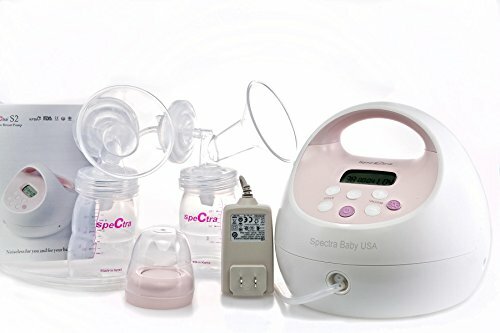 This Spectra breast pump has the advantage of being a hospital strength pump that you can use in your daily life. There are a variety of features that make Spectra one of the best options on the market. First off, it offers a two phase cycling action. This allows for a more natural pumping of the breast milk to occur. Also this is a very versatile set up due to the many different settings available. You can customize the speed, rhythm, and much more on this breast pump. This allows you to create a pumping experience that is more suited to your particular situation. It also makes it a lot more comfortable for pumping mums. To make everything just a little easier for you, there is also a timer and nightlight included. The Spectra breast pump also works hard to make sure that your baby’s health is maintained. This is done through the backflow protection feature. This ensures that there is no bacteria build up in the breast milk or machine. You also will not have to worry about waking up anyone if you need to pump during the night. This breast pump is ultra quiet. 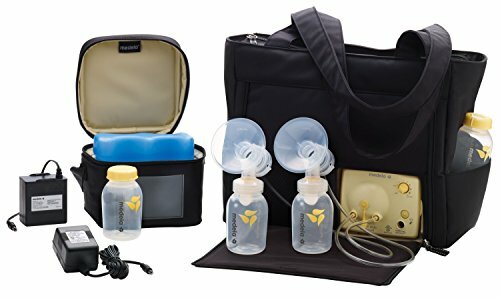 If you are looking for a breast pump without any frills but is still incredibly effective, then this Medela model will be best for you. This electric pump has a double breasted feature, allowing you to attend to both breasts at the same time. This breast pump utilizes the innovative Medela 2-phase expression technology. You can easily switch between the two phases with the help of one touch buttons. By doing so, you will be able to engage in a more organic breast pumping experience. This will result in you being able to produce and pump a greater amount of milk with less effort. This will allow each of your pumping sessions to be a great deal more efficient. There are also plenty of settings available. In particular, you can choose the strength of the vacuum and the speed at which the pump functions. Depending on how your body reacts, you can opt for the most comfortable setting. This breast pump is also quite compact, fitting easily into a bag. You will have no trouble at all, taking it from one place to another. This model of breast pumps were one of Medela’s first designs, setting the course for others in the series. 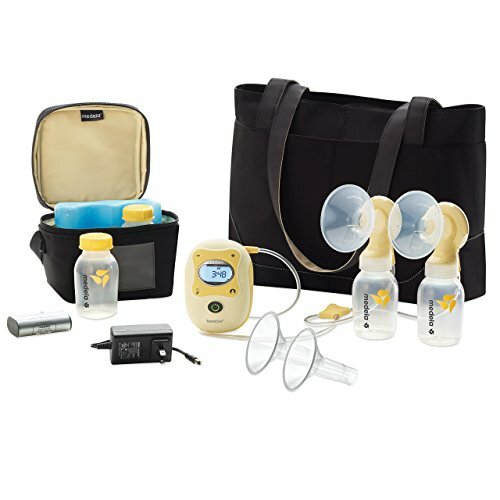 It remains one of the best possible breast pumps for mothers who find themselves constantly on the move. This is because this setup has everything that you could possibly need. First, there is the electric pump itself. This is a double breasted affair, making sure that you do not have to take turns with each breast when pumping. There are two differently sized Personal Fit breast shields to make certain that you are always at your most comfortable. It also has many other helpful features including a timer, a memory button, as well as a backlight. All of this can be found on the small digital display. The motor and the rest of the parts are incredibly light, increasing the ease with which you can carry everything around. There is a battery pack which means that you can be mobile and do not have to remain in one place. The design of this breast pump is quite creative, making it much easier for mothers to multitask, if they choose. This is due to the holding handle, to which the two milk bottles are attached. You can just hold it in one hand as you go about doing other things. Each of the bottles have a flexi-fit breast shield attached. This allows for a more efficient mess-free pumping and gives you the opportunity to be comfortable as well. To add to this comfort, you can also decide on the suction level that is best suited to you and your pumping methods. There is also a quick cycle option to make the whole process just a little more proficient. This breast pump is incredibly quiet, allowing you to be discrete even in the most public of places. You also get a really chic bag into which you can fit all of these items in. No one will be able to guess that you are carrying around a breast pump and bottles. 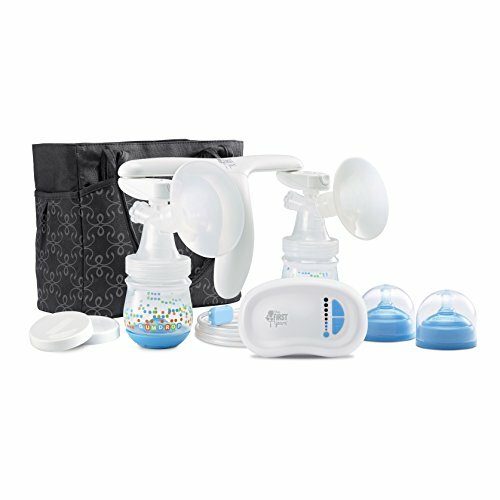 Conclusion: As a mother, you are aware of just how important it is choose the best electric breast pumps for both you and your baby. Now, with this list you can do so with ease. Find one that fits you best and know that you are in good hands.